The Houston Astros have signed lefty Wade Miley to a one-year contract that will guarantee him a salary of $4.5MM. As well as the base salary, Miley can earn up to an additional $500k worth of incentives. Miley, 32, is coming off a bounce back season of sorts as he put up impressive numbers but only after dealing with injuries during the first portion of 2018. Miley started 30+ games in both 2016 and 2017 with the Seattle Mariners and Baltimore Orioles but did so posting an ugly combined 5.48 ERA. Those two consistent yet down seasons resulted in Miley accepting a minor league deal with the Milwaukee Brewers last season. 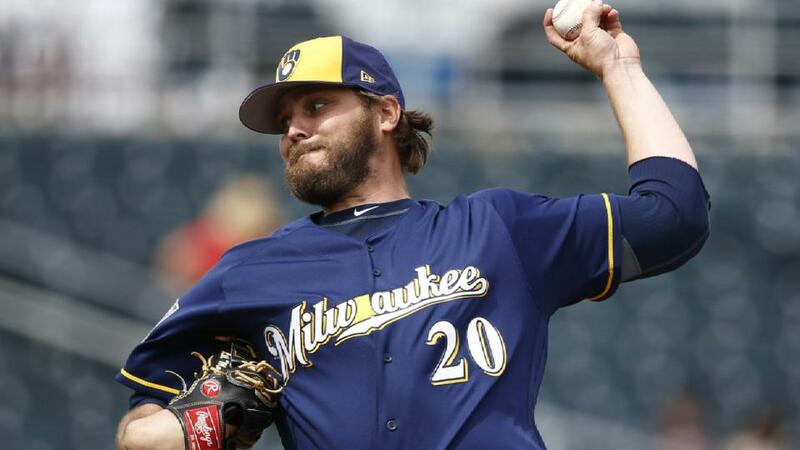 After injuries limited Mileys ability to pitch all season, he eventually regained his health and started 16 games for the Brew Crew and pitched to the tune of a 2.57 over 80.2 innings while helping the team into the playoffs. In the playoffs Miley pitched in 14.2 innings only allowing 2 earned runs resulting in a 1.23 ERA. This has been a slow off season for virtually every free agent with the bulk of the pitchers contracts being signed being one-year deals. If Miley can put up the numbers he did for Milwaukee again this season in Houston then he should be in line to receive a multi-year deal next off season. The Houston Astros have been known to be looking at starting pitching this off season as they have seen former Astro Charlie Morton sign with the Tampa Bay Rays and former ace Dallas Keuchel still searching for his big payday. This could take away the chance of seeing Keuchel back in Houston as they were said to be still in contact with him before announcing the Miley signing. Either way Miley will help the Astros by slotting in to the back end of their rotation and hopefully eat innings like he has done over the course of his career. I would not rule out another acquisition for the ball club as it can never hurt to have too many pitching options, but it feels like if they make another move this off season it would not be of the blockbuster variety.